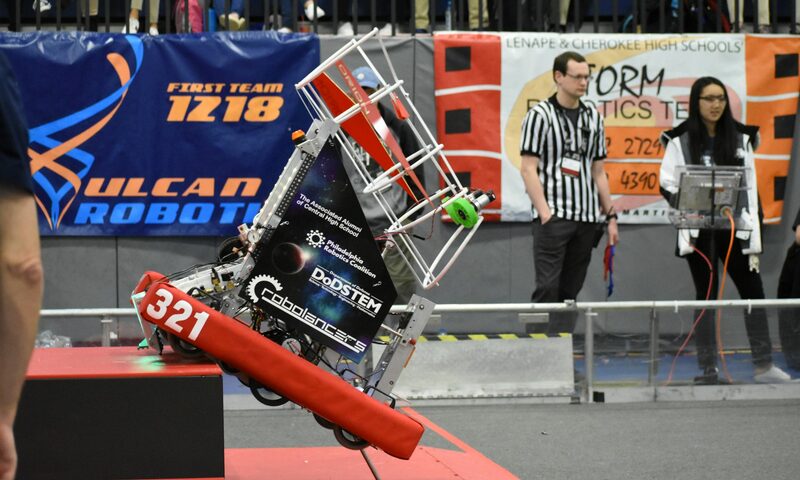 On November 21, 2015, the RoboLancers participated in an FTC scrimmage! After an hour and a half long bus ride, we arrived at Oxford High and saw many of the other teams that participated. With their unique manipulators and chassis, we watched in awe. We received the opportunity to take advantage and see what we are standing against in this competition. In the meantime, we, the FTC Crimson team 6676. also worked on perfecting and finishing our manipulator with the help of the mechanical team. We displayed how our manipulator, which was just a modified tape measure, worked to complete tasks of the new game this year. While testing our manipulator, we came up with some problems, but solved them quickly. One of our mentors, Diego, showed us a very good way to help make our manipulator. He shortened our 16-foot tape measure into a 6-foot tape measure to better fit into our system/robot. With the reduction of length, the circumference of the coiled up tape measure decreased, which stopped it from jamming as much when retracting. This helped us since we didn’t truly have a way of containing the tape measure and its excessive flexibility. When extending upward, it would jam. To further compensate, we started to work on a CAD system to build a case that would fit around the tape measure. 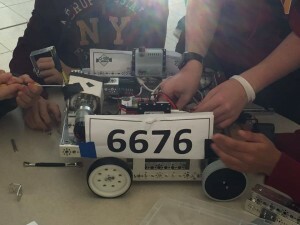 Along the way, with everyone working together, we had fun learning new techniques of working, and even communicated with other teams present at the event. Overall, it was quite a learning experience for all of us. We realized what we should or should not do in order to help our team, and at the same time, had fun with everyone. Previous PostPrevious Ramp Riot! Goodbye Recycle Rush!